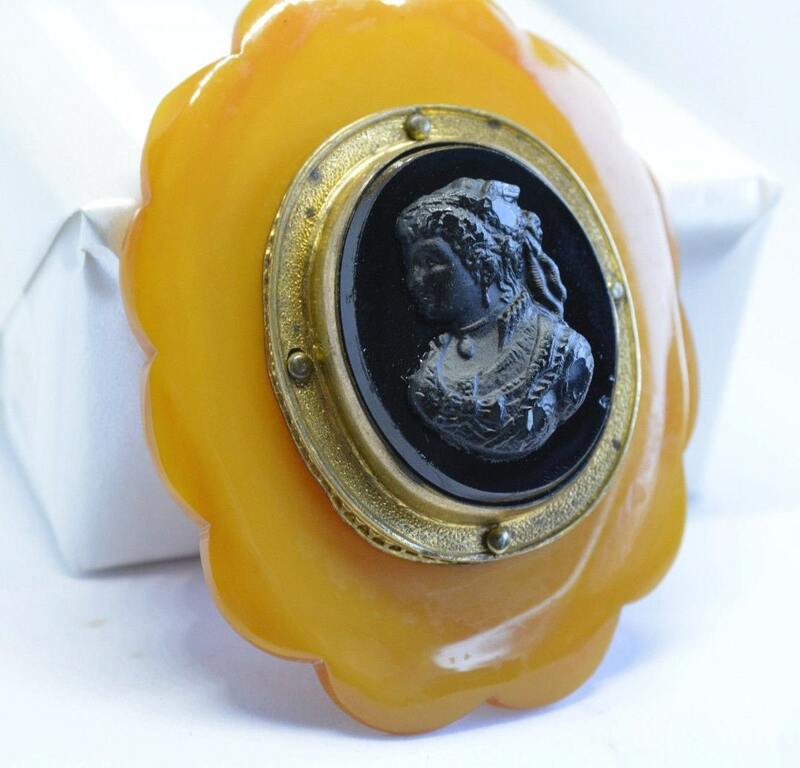 A large Bakelite cameo accessory. 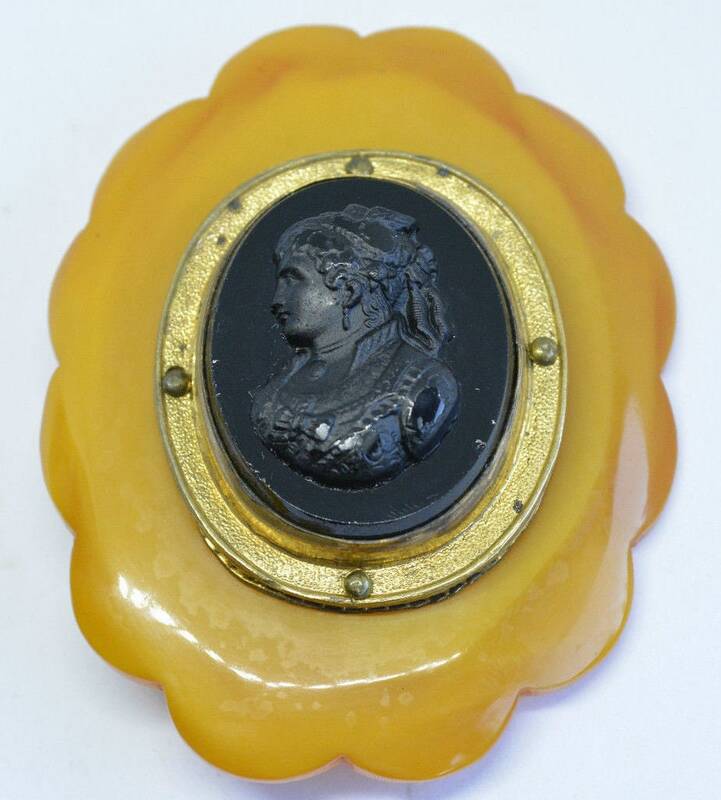 A slightly marbled butterscotch color as a base, then a metal layer, and topped with a black colored cameo. There are two eye hooks on the back side. This could easily be used to accessorize clothing or a jacket. It could also be converted into jewelry. 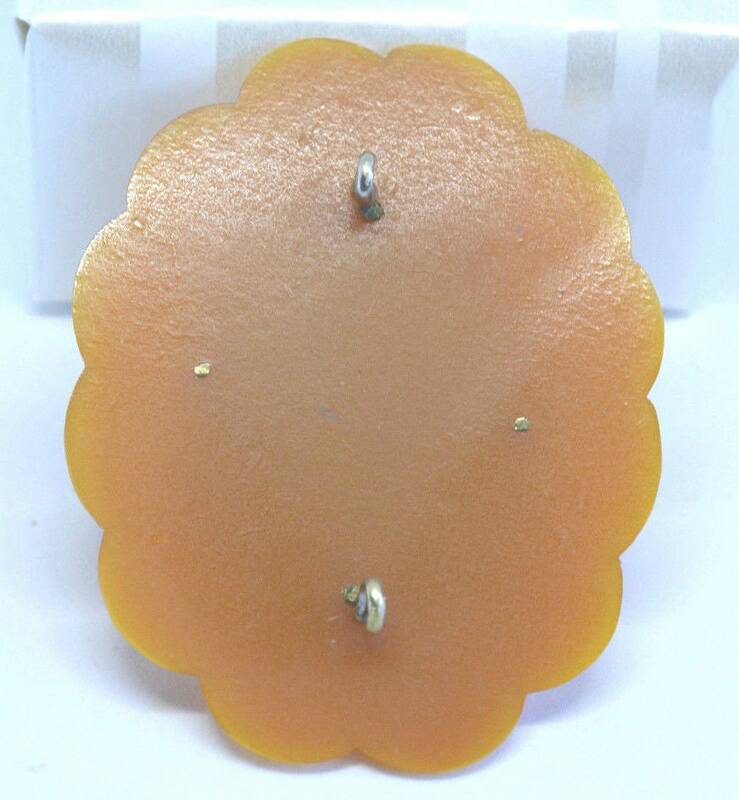 Dimensions: 3.5 x 2.24" x 1"
This piece is in nice vintage condition. 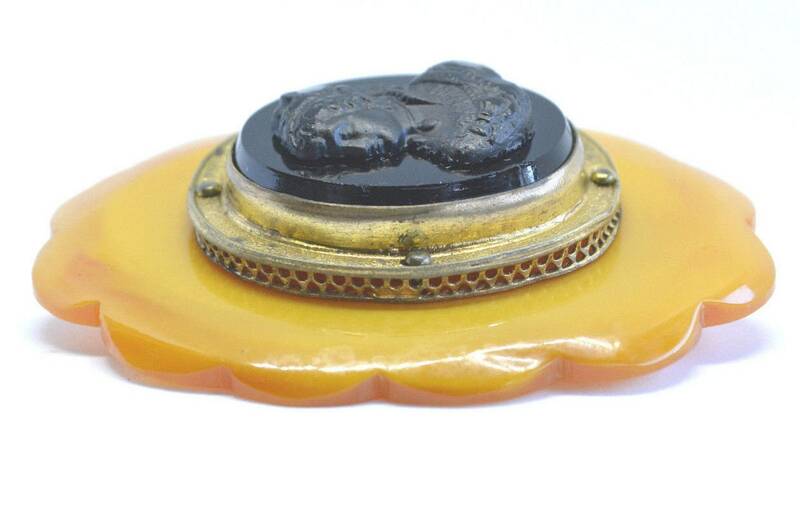 There are some small nicks around the edge of the black cameo. The metal shows some slight discoloration. This is all consistent with age and wear. Overall, this piece is in good condition.